In celebration of APIA Heritage Month, we’ll be running a special Poetry in History series once a week in lieu of our Friday prompts. For each post, we’ll highlight an important period in Asian American history and conclude with a few ideas that we hope will provoke you to respond. 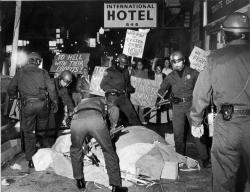 This is the final post in the series, and will feature the legacy of the Vietnam War. A girl runs screaming down the highway, thick clouds of smoke billowing on the horizon. Burned flesh, bare feet, a haze of napalm: though Nick Ut’s (Associated Press, 1972) iconic image of Phan Thi Kim Phuc running from the smoldering remains of her village was shot almost forty years ago, it remains firmly lodged in the American visual and cultural memory. In celebration of APIA Heritage Month, we’ll be running a special Poetry in History series once a week in lieu of our Friday prompts. For each post in the series, we’ll highlight an important period in Asian American history and conclude with an idea that we hope will provoke you to respond. 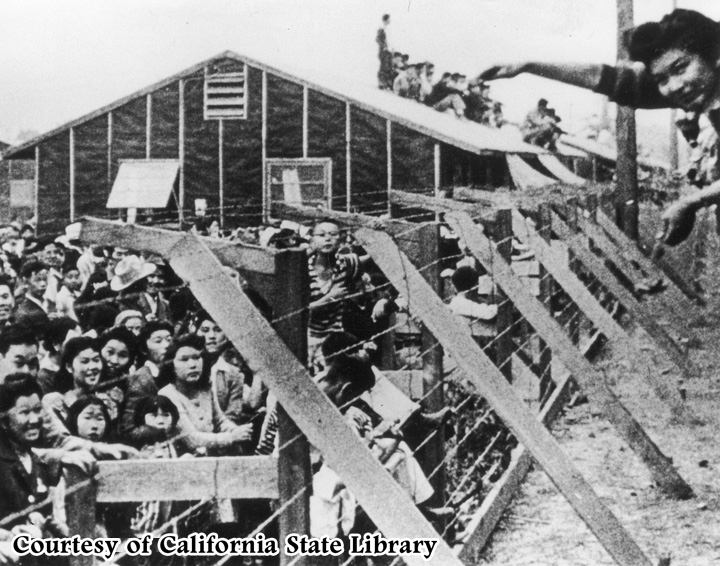 Today’s post centers around the internment of Japanese Americans during World War II. 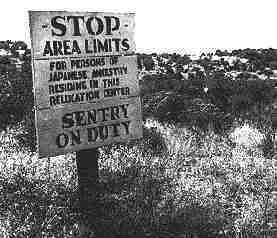 We’ve all seen the photographs: bleak desert landscapes, makeshift barracks, endless stretches of barbed wire fence. We’ve heard the euphemisms: “relocation,” “evacuation,” and “evacuees,” put into circulation by President Roosevelt’s Executive Order 9066 and the infamous public notices that appeared shortly afterward, stapled to telephone poles and pasted in store front windows addressed “TO ALL PERSONS OF JAPANESE ANCESTRY.” For the Japanese American, Asian American — any American, really, regardless of “ANCESTRY” — what are we to make of this moment in our nation’s history, when approximately 110,000 men, women, and children were robbed of their rights, property, and due process of the law in the name of “national security”? In celebration of APIA Heritage Month, we’ll be running a special Poetry in History series once a week in lieu of our Friday prompts. For each post in the series, we’ll highlight poetry written during and/or about an important period in Asian American history and will conclude with some ideas that we hope will provoke you to responding to these poems in your own work. 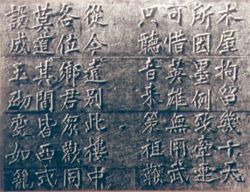 Today’s post centers around the wall poems written by Chinese immigrants who were detained in the Angel Island Immigration Station. This Saturday (May 8th) marks the celebration of the 100th anniversary of the Angel Island Immigration Station. 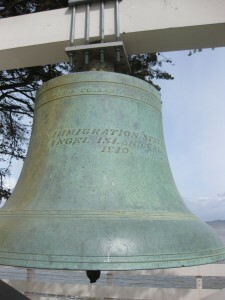 Often called the “Ellis Island of the West,” Angel Island served as the site for processing as many as 175,000 Chinese immigrants from 1910-1940. During the era of Chinese Exclusion, immigration interviews were more like interrogations. American officials often asked impossibly detailed questions that were supposedly designed to root out anyone who was attempting to enter the country illegally, but in reality, the questions served mainly to intimidate immigrants and pit family members’ accounts against one another. Conditions in the barracks were very much like prison, too. Detainees were separated by gender and locked up in crowded barracks while they awaited questioning, for weeks or months — sometimes, for years — at a time. To pass the time, many immigrants wrote or carved poems into the soft wood of the barrack walls. Discovered in 1970 by a park ranger, 135 poems from the men’s barracks survive and have been preserved (the women’s barracks, unfortunately, were destroyed in a fire long before the 70’s). The poems vary in theme, form, and in level of polish, and serve as a testimony to the experience of detention, chronicling everything from hope to anger to loneliness, to a sense of adventure. In 1999, Genny Lim, Him Mark Lai, and Judy Yang compiled and translated a selection of the poems and included them in their book Island, which juxtaposes the poems with historical accounts and documents that tell the immigration station’s story. These poems are powerful to me because of the way that one sees violent tension struggling to the surface beneath the almost lyrical quality of the poets’ surroundings. In a way, they encapsulate the experience of being trapped into a cell in the middle of an island so lush that it’s now a designated a nature preserve. The beauty of the world available outside the window belies, even betrays, the ugliness of the speakers’ experiences inside the detention center. They are cut off, denied passage, hemmed in by human constructions (both physical and psychological). That the poems are also so different in tone also indicates the complex diversity of attitudes amongst the detainees: while the speaker of the first poem causes us to reenact the shock of his experience by dropping us smack into the cell after describing the “gentle breeze” of his hopes upon arrival, the speaker of the second poem draws us into a world in which everything — even the waves — are in collusion with the authorities. The tone of the second poem explodes with angry energy, while the first is ironic and almost dryly detached at its end.